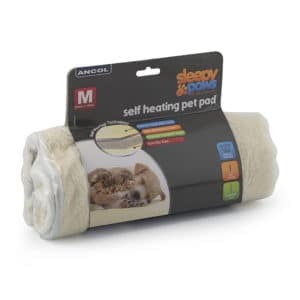 If you have a pooch who loves the outdoors or if you have a dog that just doesn’t like sleeping indoors then we have a solution for you. Our dog kennels are handmade in the UK to ensure each one is up to our standards of quality. 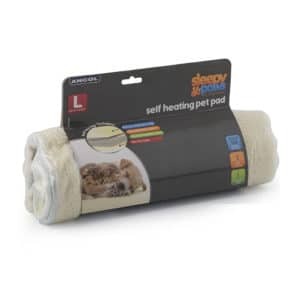 They are designed to help keep your dog cool in summer and warm in winter. They also keep your doggy dry even in the heaviest downpour. The roof and floor of our dog kennels are all constructed with an inner lining of thermal insulation. 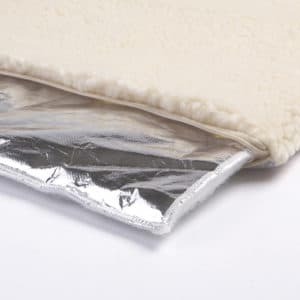 This insulation lining will help keep your dog warm in the Winter and cool in the Summer creating a comfy place to rest regardless of the weather outside. If your pooch is a bit mischievous, we have that covered as well. Our dog houses are made of sturdy timber so if they get nibbled or chewed they will still last for years to come. The integral leg design of the dog kennel also means the main structure is kept up off the ground. This helps keep the inside warmer and prevents water coming in from the floor while protecting the kennel from rot. This is just another way we make sure you can count on Home & Roost to give you what you need. Along with a sturdy design, each kennel is fitted with a pet safe door that keeps out rain and wind while still giving your dog easy access to their kennel. Each dog house also has a one way privacy window so your dog can see out but other animals can not see in. This helps keep your dog entertained and gives them a feeling of security in their lovely new kennel. The kennel is built with a hinged roof. This makes it easy to clean your dog’s house and check on your pooch whenever you need. The roof also comes with a support to keep it open. That means no more getting your fingers pinched when you are trying to do some cleaning or just giving your favourite pooch some love. Our wooden dog kennels are protected using pet-friendly treatment which helps them to resist rain and other harsh weather conditions. As well as an insulation layer, our dog kennel floors are made from thick 10mm Scandinavian plywood, so it doesn’t matter whether you have a Great Dane or a pet Poodle This dog kennel will give you a beautiful and sturdy place for your dog to live at a great price. Home & Roost support super fast delivery on all of our kennels, and with some of the lowest prices in the industry, it is no wonder that we are rapidly becoming one of the top providers on the internet. If you would like to find out more about our dog kennels or if you would like to see what we can do for you then please contact us today online or by phone and we will be in touch as soon as possible.